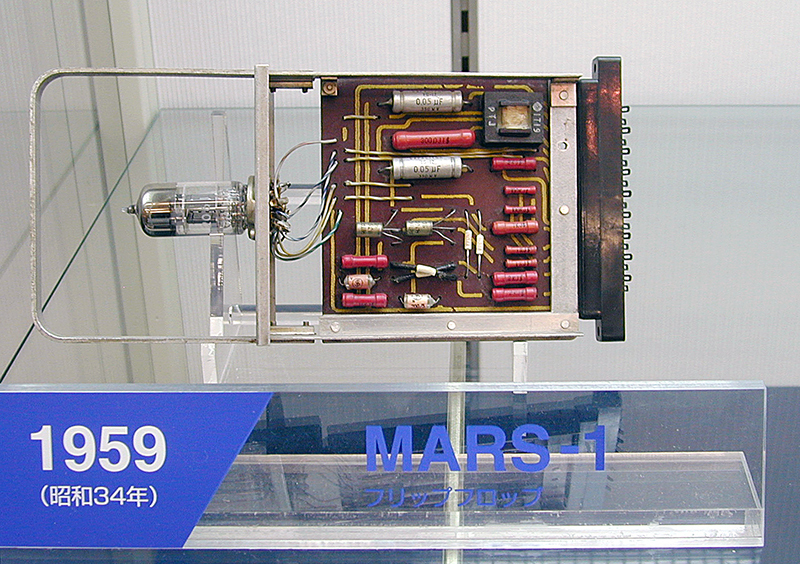 MARS-1 (standing for “magnetic-electronic automatic reservation system”) was the first prototype of the familiar JR seat reservation system seen at “Midori-no-madoguchi” ticket reservation counters. 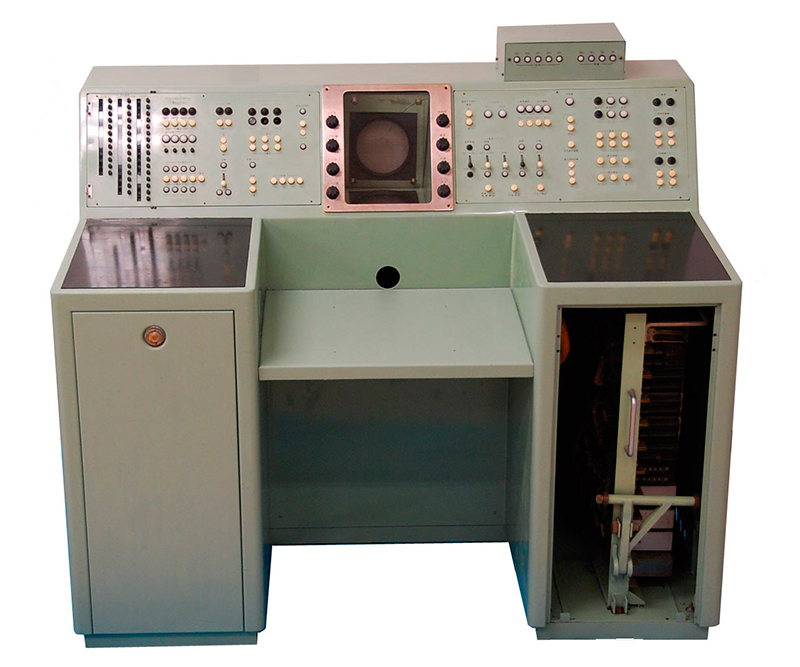 It was designed and planned in the second half of the 1950s by Mamoru Hosaka, Yutaka Ohno, and others at the Japanese National Railways’ R&D Institute (today, the Railway Technical Research Institute). 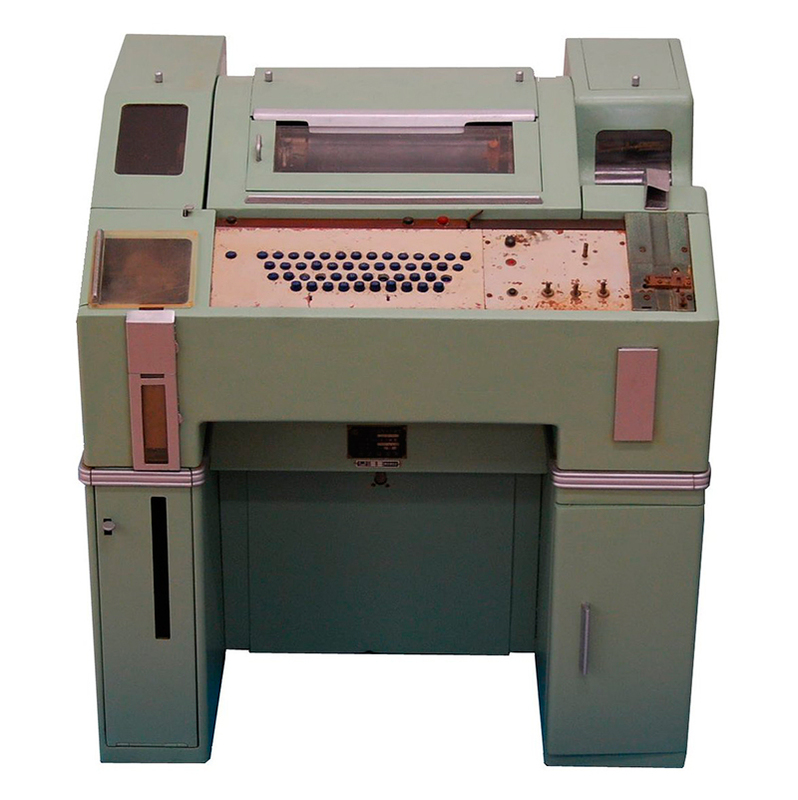 The machine was ordered from Hitachi in 1958 and was produced at the Totsuka Plant by a team led by Yasuhiko Tani. 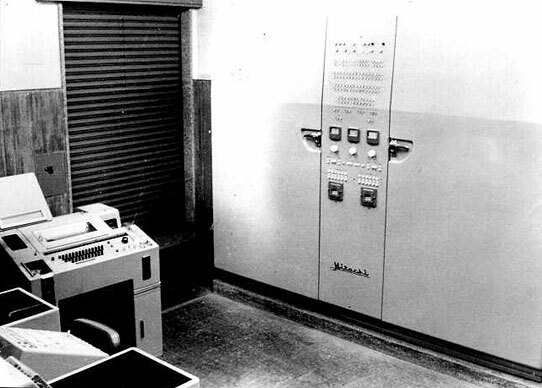 The system used a 400,000-bit magnetic drum memory unit to hold seating files. It also used many registers, including two 900-bit registers that indicated whether seats in a train were vacant or reserved to accelerate searches of and updates to seat patterns. Other registers were used for communications with terminals, printing reservation notices, and CRT displays. These registers were implemented as regenerative circulating registers that used the surface of the magnetic drum as a delay line, which greatly reduced the number of flip flops needed. 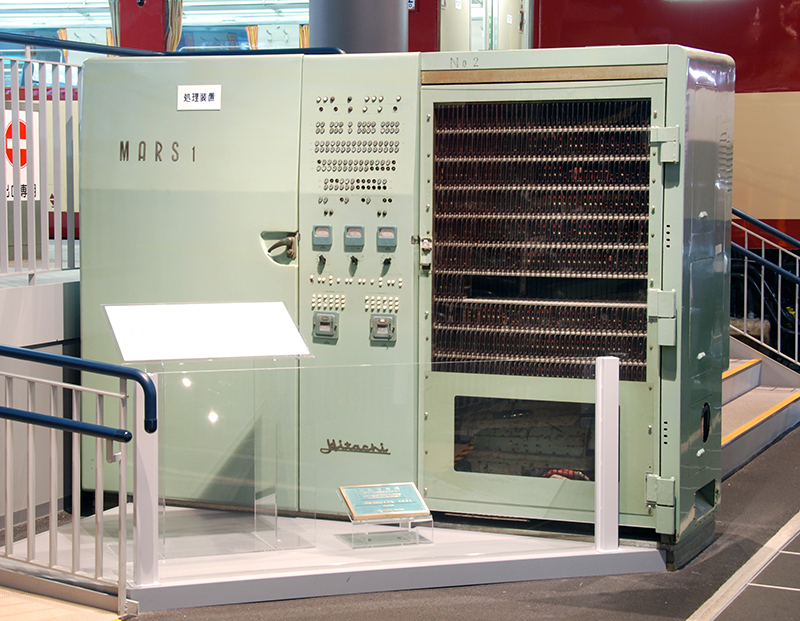 The main hardware logic elements were AND-OR gates implemented with diodes and static set and reset flip flops that were synced to the clock signal. The central unit had 1,000 transistors and 4,500 diodes, as well as 70 vacuum tubes because power transistors did not exist at the time. The magnetic drum was 300 millimeters in diameter and 300 millimeters long, had a rotational speed of 3,000 rpm, and had 200 tracks in all. Ten of these tracks were used with the circulating registers. For better reliability, a parity check was used to check for errors in the communication system, the central unit used a comparison check through redundant parallel operations, and sum checks of records were made when files were updated. At the time, some airlines in the United States had been managing the number of reservations for each flight segment online. Nevertheless, this was the first time in the world that reservations, including the seat position, were managed online for trains, which are more complex because trains have more segments than airplanes.